Take the guesswork out of choosing your next textbook. 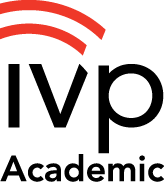 Use the IVP Textbook Selector to find a wide array of titles by discipline, from apologetics to theological studies. You may also narrow down your search by course and specify which topic you're looking for. On each book's page you'll also see an academic level rating—introductory, intermediate, or advanced—to help you gear curriculum to your students. These short texts are single chapters pulled from some of our larger textbooks. Since they are in digital format, they are easy and economical for students to download for supplemental reading. Want to know what books other professors are using in their courses? Browse our most popular textbooks here.